"Hey, is that the sound of the FDA approving things faster? Must be because the Senate is confirming Robert Califf as new FDA chief." On the other hand, his supporters think he'll improve the approval process, perhaps removing some unnecessary hoops through which industry is forced to jump but also adding rigor where necessary. (After all the drama of the past few weeks, you can bet new opioid applications are going to be scrutinized very carefully under Califf.) The big hope is that Califf, with his extensive insider knowledge, won't be easily surprised or fooled by industry tricks. I've been watching Califf for 30 years, since he was a junior faculty member at Duke. I have no idea what he'll actually do as FDA commissioner. But I'm pretty sure that he won't abandon the one consistent theme and obsession of his entire career: clinical trials. He didn't build the Duke Clinical Research Institute just to siphon money from industry, as some have argued. Instead he built an infrastructure to perform more, and better, clinical trials. I can't imagine Califf's commitment to clinical trials will now somehow be diminished. So what does that suggest about what he'll do at the FDA? Randomized clinical trials (RCTs) will remain the cornerstone of drug approval. He will look askance at any attempt to short circuit the requirement for RCTs. If anything, he may try to raise the bar for drug categories that have shaky support from clinical trials. Don't expect him to rock the boat right away and raise the bar for cancer drugs and others that are politically sensitive. He's politically savvy, and he'll wait his time before tackling something really controversial. But a few small incremental changes might give a hint of what may come if he settles in for the long haul in the next administration. Califf is also acutely aware of the limitations and burdens of the current system, which sometimes seems to be collapsing under its own weight. RCTs have become enormously expensive and often don't even provide much useful information by the time they're done. Califf knows this first hand. After all, he was the PI of IMPROVE-IT, one of the longest lasting, controversial, and deeply frustrating trials in the history of cardiovascular medicine. There's been a lot of quiet discussion in the last few years about using technology to improve and speed up clinical trials. I wouldn't be surprised to see Califf support initiatives that will encourage the development of randomized registry trials, for instance. At the European Society of Cardiology meeting last year, Califf responded to critics of the FDA requirement that the makers of diet and diabetes drugs have to perform cardiovascular outcomes trials. He said that the FDA has taken the position that "we need to understand the long-term risk of these drugs that people may need to take for a lifetime." It's unlikely Califf will change his mind about this. I'll bet that Califf will seek to tighten the requirements for approving devices. He's been a consistent critic of interventional cardiology, at one point describing interventional cardiologists as "knuckle dragging." The main problem is that device trials are rarely as rigorous as drug trials. There are some good reasons why this is so, but Califf isn't likely to simply accept an inherently weak system. He'll try to strengthen it. 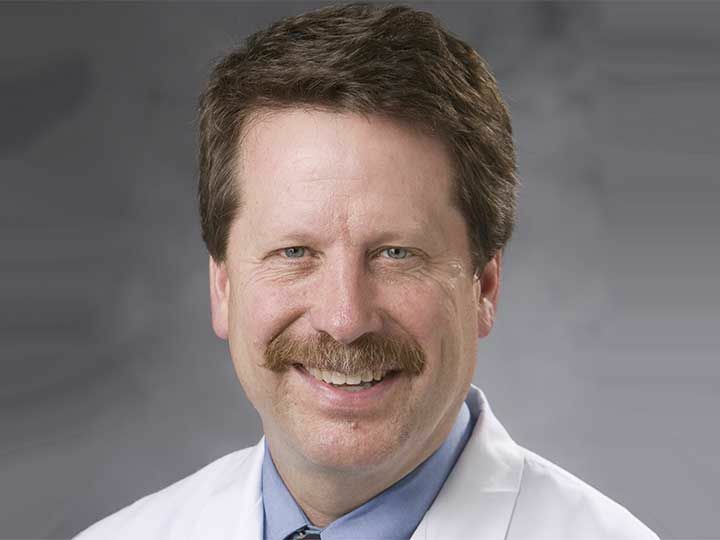 While he was still at Duke, Califf gave a talk at the American College of Cardiology meeting in 2014 in which he analyzed one of the most important device trials in recent years. The SYMPLICITY HTN-3 trial, which failed spectacularly, put an end to early hopes that renal denervation was the next big thing in blood pressure treatment. His slides, which he shared with me at the time, illustrate Califf's devotion to evidence-based medicine (EBM), and why it's unlikely anyone will be able to pull a fast one on him. He knows all the tricks.